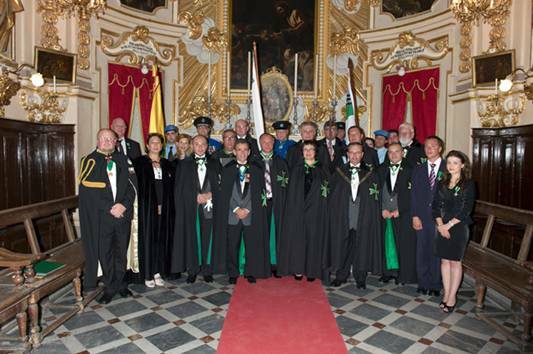 The Grand Prior of the Ukraine, the Chevalier Anton Savvov KLJ CMLJ, led a contingent of members and officers of said Grand Priory and conducted another investiture of the Grand Priory with the assistance of officers of the Grand Priory of Malta. 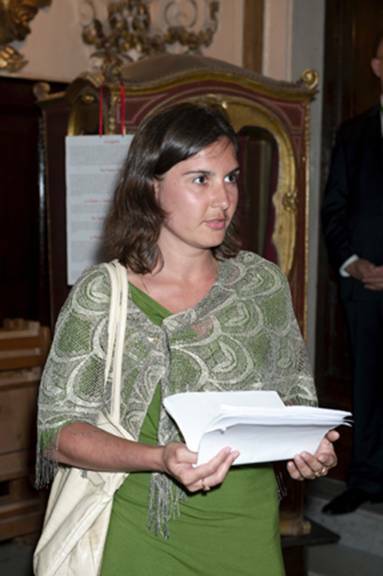 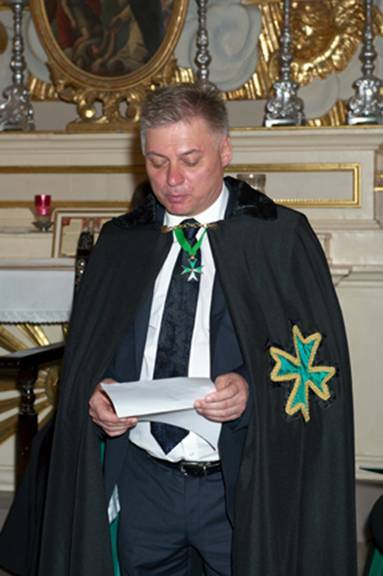 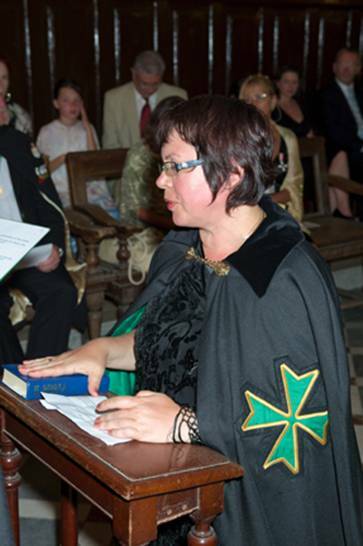 The Ukrainian Grand Priory has continued to be very active in philanthropic initiatives and their officers prefer to conduct their investitures in conjunction with other Grand Priories of the Order, mostly in Malta due to the presence of the office of the Grand Chancellery of the Order, which is responsible for the international affairs of the Order. 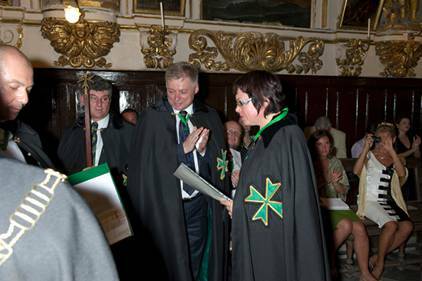 During the July investiture, a further six postulants joined the Grand Priory of the Ukraine and a number of distinguished citizens were accorded the accolades of the Companionate of Merit of the Order. 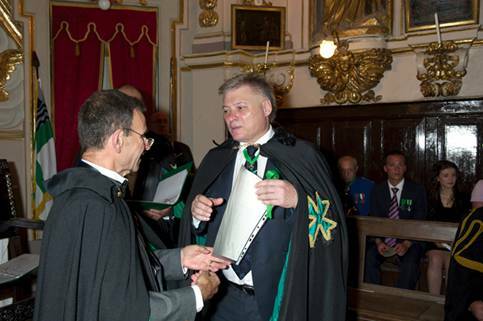 The Grand Prior also gave a speech detailing the various Hospitaller works carried out in his jurisdiction and then joined the Maltese Confreres and Consoeurs in the investiture dinner. 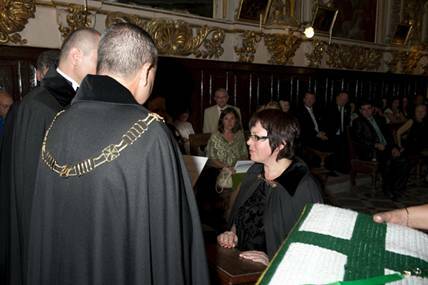 The Grand Prior of Ukraine coordinating with the Grand Commander of the Grand Priory of Malta during the investiture service.